We left Melaka early in the morning got a cab to the bus station. We then had a 4 hour journey over to Singapore. The ride was quite smooth and the coach was empty so we stretch out slept most of the way. Stopped off to eat go toilet etc when we got to immigration we didn't know what to do it was quote strange the coach driver kept telling us quick quick then we had to get back on. When we did get to Singapore we got the train to Chinatown where the hostel is. The hostel looked nice from the pics but very average inside. The rooms were so cramped. Lucky it's only a 2 night stay for us but the bed was soooo comfy. Tried to find some good bars but it seems only karaoke and expensive ones were about. The next day we done a sightseeing bus tour saw all the main areas even tho it chucked it down with rain. It's strange because it clears so quickly and stays warm. Last night we went to the night safari which was one of the best experiences so far and pretty much the only thing I liked about Singapore. It was amazing how close you get to the animals, sitting on the tram then you can walk about too. Overall Singapore is expensive, busy and way too modern for me. I preferred kuala lumpur and in general the people in Malaysia are way more friendlier. 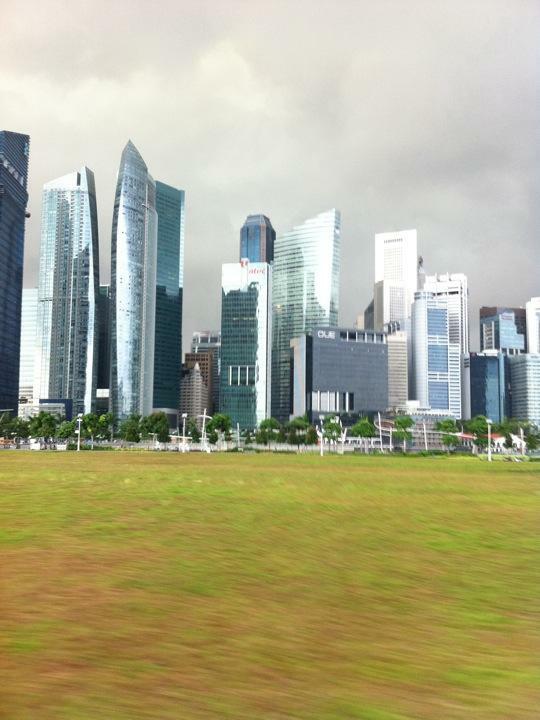 Singapore is very business like and strict. It seems I like the poorer places so far.... Maybe money isn't everything then! Anyway I'm up early and ready to fly to Bangkok, Thailand. I've been wanting to go forever!! !